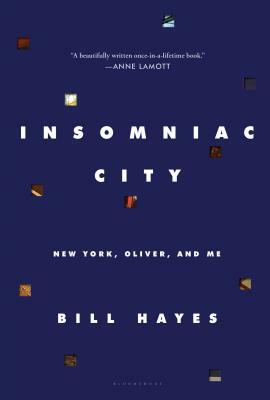 And he unexpectedly fell in love again, with his friend and neighbor, the writer and neurologist Oliver Sacks, whose exuberance--"I don’t so much fear death as I do wasting life," he tells Hayes early on--is captured in funny and touching vignettes throughout. What emerges is a portrait of Sacks at his most personal and endearing, from falling in love for the first time at age seventy-five to facing illness and death (Sacks died of cancer in August 2015).Insomniac City is both a meditation on grief and a celebration of life. Filled with Hayes’s distinctive street photos of everyday New Yorkers, the book is a love song to the city and to all who have felt the particular magic and solace it offers. "Buy a box of tissues and pray for snow: This is the perfect weekend February read, and will have you alternately bawling and giddily clapping your hands for the lovers that may not have had the time they deserved, but certainly made the best with the time that they had." - Newsweek, "The Best New Book Releases"